Police are investigating a report by a snowboarder that he was shoved out of a chairlift by a skier Sunday at Aspen Highlands in Colorado. Seth Beckton, the snowboarder, fell face-first 20 to 25 feet, but was fortunate to have landed in soft powder and was not injured. “I honestly thought I was dead,” he told the Aspen Times. “Because I didn’t know where we were [or how high]. It’s not cool to think anyone would do that.” Beckton, 28, did not report the morning incident until the end of the day, at the urging of friends. This will make it more difficult for police and ski patrollers to identify and locate the skier. But Aspen Highlands Resort and the Pitkin County Sheriff’s Office said Monday that they’re reviewing video and have launched investigations. “It’s not the kind of behavior we want on our mountain,” Jeff Hanle, spokesman for Aspen Skiing Co., told the Aspen Times. The skier, a white man in his 20s or 30s, was wearing a helmet and goggles while talking to Beckton on the Loge Peak lift. It was near the top of the lift that the skier reacted to what Beckton thought was an innocuous comment, shoving the snowboarder before he had time to react. The lift operator stopped the lift, but not until after the skier was able to exit the and ski away. There was a third person on the lift, who thought this was an argument between friends. Pro surfer Bethany Hamilton, who lost her left arm and nearly her life during a shark attack in 2003 off Kauai, is a first-time mom. The announcement by Hamilton and her husband, Adam Dirks, was made Monday via Instagram and Facebook. Understandably, the posts were flooded with comments by well-wishers. The Facebook post alone garnered more than 500,000 likes and 17,000 shares in the first four hours. Hamilton, 25,was able to keep surfing at a high level after the shark attack, and her inspirational story was made into the popular feature film, "Soul Surfer." She and Dirks, a youth minister, were married in August 2013. Surfers can cut lots of time off their paddle-outs if they venture onto the rocks and jump off closer to the lineup. But it can be a tricky, embarrassing, and even painful experience when the ocean is not given the respect it demands. The accompanying footage, captured at Manly Beach, Australia, has gone viral since it was posted to Facebook this week by Peter Matthews. It shows a young surfer attempting the precarious rock jump and failing badly as people watch and commentate from behind the camera. The surfer fails to make it over the first wave, which washes him into a small pool, and as he gets back onto his feet with his board in hand, and tries to regain his footing, a second wave sends him shoreward and bounces him off the rocks. Ultimately, however, the surfer scrambles onto the safety of a large rock, looking dejected, and starts walking to shore. It’s unclear if he rode any waves on this day, but if he did it was with bumps and bruises, and with a battered ego. Life seems to keep getting better for pro surfer Bethany Hamilton, who in 2003 lost her left arm to a shark while riding waves near her home on the Hawaiian island of Kauai. Not only was she able to keep surfing at an elite level, and become the focus of “Soul Surfer,” a feature film showcasing her inspirational story; Hamilton found her “soul mate” in Adam Dirks, a youth minister, and the two were married two years ago–10 years after the shark attack. The couple is expecting a baby boy in early June, and would not would not reveal possible names. Because of her growing pregnancy–22 weeks and counting–Hamilton postponed production of a new film titled, “Surfs Like a Girl.” That project comes shortly after she and Dirks finished third in the CBS reality show, "The Amazing Race." But so far she continues to ride waves, and recently visited big-wave spots such as Teahupoo in Tahiti, and Pipeline on Oahu’s North Shore. Hamilton and Dirks refer to this new chapter as merely another adventure, albeit one with obvious challenges, such as raising a baby with one arm. Hamilton says she'll simply have to "adapt and adjust," as she has to various other challenges so masterfully for the past 13 years. Sharing waves with strangers is not any surfer’s idea of a good time, unless the strangers happen to be dolphins. Ryan Warrington and Kyle Tatam were surfing on standup boards recently at an unnamed destination when dolphins arrived and not only rode waves with the SUP paddlers, but seemed to enjoy their human company. The feeling, undoubtedly, was mutual. 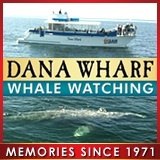 “One of the most surreal days we’ve ever had in the water,” Warrington states in a description beneath the video, which is enhanced with a bit of "Jamaican Tea," via the New Black Shades, and takes viewers on a brief voyage through an aquamarine realm with sleek and beautiful cetaceans as escorts. To be sure, this footage is different than the many clips circulating on the Internet, showing SUP paddlers trying to get close to whales or, more recently, paddling briefly among killer whales. This is a case where the dolphins wanted to be with the paddlers, and vice versa, and the result was a magical session, at what looks to be a secret spot, enjoyed by both parties. Many people are bound to be envious. Surfer's board snapped in two... by a shark? Sunny Garcia was once a dominant force in pro surfing. He won the world surfing title in 2000, and before retiring from full-time competitive surfing he claimed six Triple Crown of Surfing crowns, at his home breaks on Oahu’s North Shore. But Garcia's popularity stemmed mostly from the larger-than-life status he had achieved while on the tour. His tirades against judges became legendary. His temper often flared, and punches were occasionally thrown. Sunny Garcia, the beefy Hawaiian, was surfing’s bad boy, a powerful and colossal presence in and out of the water. Fans loved him, despite the time he spent behind bars–three months in jail and seven months on house arrest–for failing to pay taxes on contest winnings. But today we see a different Garcia, who at 44 has mellowed, but has found himself engaged in a different kind of fight. On Thursday, the surfer revealed to 63,000 followers on Instagram that he’s battling depression, a mental disease that affects moods and leads to a loss of interest and an inability to enjoy even the most seemingly enjoyable aspects of life. “I am not as strong as everyone thinks I am,” reads a statement-image along with his post, which is embedded above. In trademark fashion, the words are straight from Garcia’s heart, and sure to resonate with anyone else suffering from this darkest of disorders. The type or level of depression afflicting Garcia–mild, moderate, or severe–is not clear. But given that he's sharing his feelings on social media and seeking advice, the demons are formidable and he should seek help beyond Instagram, if he hasn’t already. Depression, which afflicts about 350 million people worldwide, can lead to suicide. That became evident most recently when actor Robin Williams took his life in August. But a person can seek medical help and get back on track via antidepressants, psychosocial therapy, or psychotherapy–or a combination thereof. It'll be up to Garcia, of course, as to what level of help he seeks. Meanwhile the former world champ, based on his Instagram feed, has been busy surfing, visiting kids in the local children’s hospital, and teaching children suffering from other ailments how to ride waves. Clearly, Garcia is no longer surfing’s bad boy, and hopefully he'll be back to enjoying life to the fullest in no time. As driving rain and powerful winds began to sweep across Northern California on Thursday morning, a few hearty souls braved the elements and went surfing. The accompanying images were captured by the Placer County Sheriff’s Office at its North Lake Tahoe Station. While the surf may have been up, thanks to 50-mph winds, ski resort operators were hoping the temperature would drop and rain would turn to snow. As of the time of this post, snow in the Lake Tahoe area was falling only above 7,000 feet. A blizzard that has buried much of western New York in snow is keeping most residents hunkered down indoors. But two adventurous surfers saw in the stormy weather an opportunity to ride a few waves, with a guarantee of not having to deal with crowds. Meet Kevin and Christian, who live along the shore of Lake Erie and like document their adventures around and beyond, and apparently in, Lake Erie. As the mother of all snow storms swept over Buffalo and the surrounding area, Kevin and Christian took note of conditions—26 degrees, 35-mph wind and a wind chill of 13 degrees—and donned very thick wetsuits before heading to Sunset Bay for what was presumably a very short surf session. They looked to be having a great time, though, while so many New Yorkers were struggling to cope with the weather. But then, Kevin and Christian are the hardy, outdoorsy types, so this should not be too surprising. The problem with most “surfing dog” or “skateboarding dog” videos is that they feature pooches merely riding on boards after being placed on them by their owners. Bamboo is different. He’s able to climb onto the skateboard by himself, propel himself using his hind legs, and even steer in a subtle manner. Probably not X Games material, but remarkable in his own right. Mike Bolaris, Bamboo’s owner and skate partner, uploaded the accompanying footage to YouTube in September, but it began to circulate on social media sites this week. Bolaris said via email that Bamboo is a rescue dog, part of a litter born in the desert near San Bernardino, California. The mom was a stray black lab and the father's identity is unknown. Bolaris adopted Bamboo when he was 8 weeks old from Labradorsandfriends.org. The dog seemed to take to the skateboarding lifestyle, which is so prevalent where Bolaris lives in North San Diego County. “Some days I’d skateboard on our morning walk so Bamboo could get a little extra exercise before I had to work,” Bolaris explained. “One day, I let him try rolling down a very small hill and he liked it. Portions of the footage show Bamboo using his hind legs to run and gain speed when the board slows down, and steering slowly around cones in the parking lot at Seaside Beach. “All I did was make it safe and encourage him with praise and a few treats,” Bolaris said. “After a couple of months he could skate all over town and I was tired of having to run alongside him, so I bought him his own Carver [skateboard]. Maybe Bamboo is X Games material, after all.